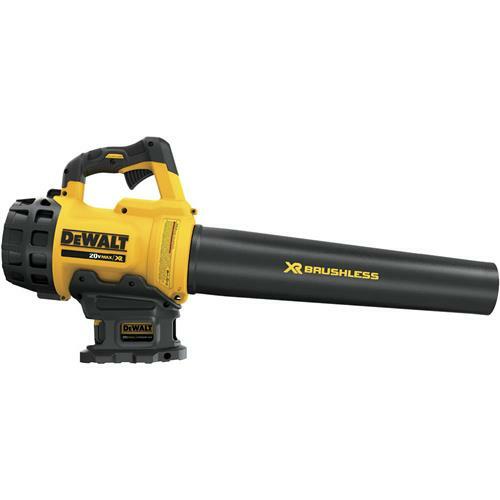 The 20V MAX* Brushless Handheld Blower provides the ability to clear debris with an air volume of up to 400 cubic feet per minute at 90 miles per hour. 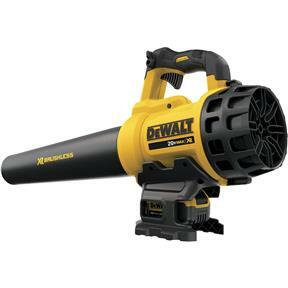 With an ergonomic and extremely lightweight design (7.1 lbs. 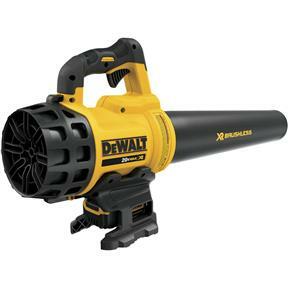 ), the blower is easy to control and minimizes stress on the arm. The variable speed trigger and speed lock give the user full power control. Includes blower, 1 20V MAX* 5.0Ah lithium ion battery, and charger.